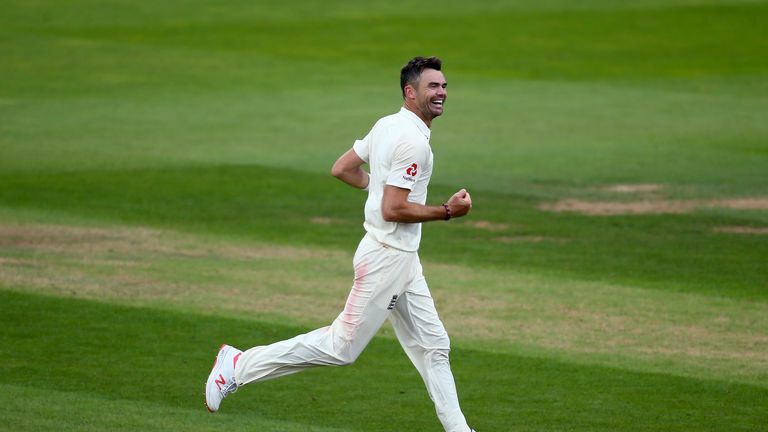 James Anderson says retirement is not on his mind after becoming Test cricket's most prolific seam bowler of all time. 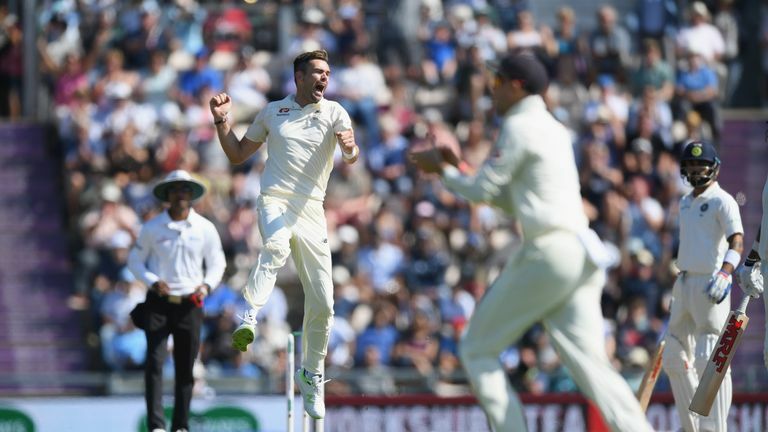 Anderson broke Australian Glenn McGrath's record Test wicket tally by claiming the final scalp in England's fifth Test victory over India on Tuesday to move onto 564 career Test wickets. With tours of Sri Lanka and West Indies scheduled this winter, followed by a Test against Ireland and then the Ashes next summer, the 36-year-old says he will continue to put in the hard yards. "I don't really think about it - I play my best when I focus on what's ahead of me; the next game, the next series - whatever it is," said Anderson, who has been made available to play for Lancashire Lightning in Saturday's Vitality Blast T20 Finals Day. "So I'll go away now - we've got a decent break before Sri Lanka - and try to get myself in as decent as condition as possible to cope with the rigours of bowling seam in Sri Lanka, which can be tough. "Then we'll just see how it goes. I read something that Glenn McGrath said - he went into the 2006 Ashes with no intention of retiring and then by the end of it, he thought his time was up. Anderson now sits fourth in the list of all-time wicket-takers behind Sri Lanka's Muttiah Muralitharan (800 in 133 Tests), Australia's Shane Warne (708 in 145) and India's Anil Kumble (619 in 132). Only Alastair Cook, who retired at the Oval after 161 matches, has more Test caps than Anderson's total of 143 yet the Lancastrian remains determined to resist suggestions of taking either of this winter's tours off. "The stage I'm at, I don't play one-day cricket so I think I have enough time in between Test series to be able to prepare myself well and get myself in good physical shape," he said. "We came into this five-Test series with question marks over whether the bowlers would get through. We've got two 30-plus bowlers - will they need resting and will they get injuries - and we've done it. "We pride ourselves on working hard and we get the chance when we get that time off; Stuart and I don't play white-ball cricket so we have that time to be able to get ourselves in the right frame of mind, the right physical condition to be able to cope with whatever's ahead of us." 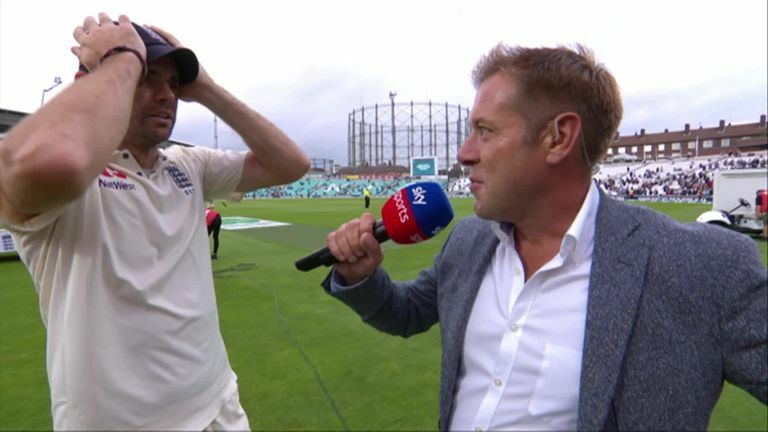 Anderson paid emotional tribute to Cook in the wake of England's 4-1 series victory over India and explained that winning at the Oval for his friend and team-mate, rather than achieving his own personal milestone, was the chief focus. "It's hard to explain really," said Anderson, reflecting on his historic achievement. "I don't want to play it down too much but it doesn't mean a great deal to me. Today was all about winning a Test match and giving Cookie a good send off - the send-off he deserved. "I've said this throughout my career, that, when I sit down at the end of my career when I finish it will mean a hell of a lot to see what I've achieved but right now it's hard when you put all your energy into the present and try to perform well for England." He added: "I think we've made really good strides in this series; we've had a really inconsistent period in Test cricket. It's something that we've really tried to do something about and make sure that we improve and put in more consistent performances and I think we've done that." 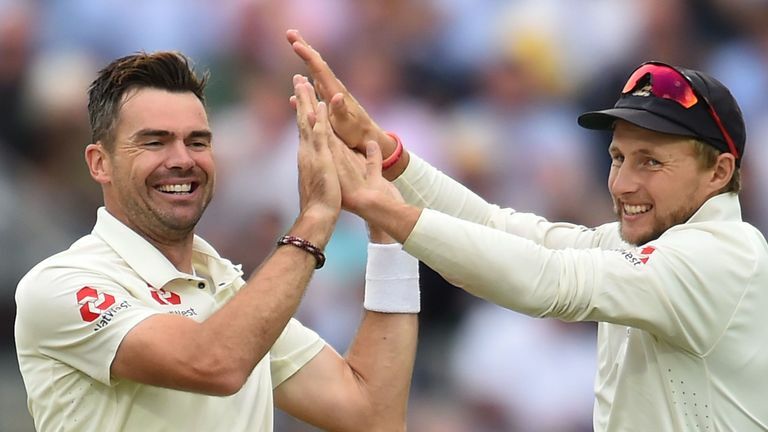 Watch England's Test series against Sri Lanka and West Indies live on Sky Sports Cricket this winter.